Say what you will about Florida, rank it last of all the states, defend it to the death, or just make fun of its horribly delusional college football fans, one thing you can't hate on are its beaches. 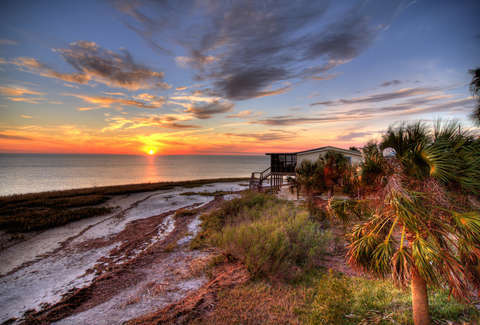 With the most coastline of any state in the Lower 48 -- much of it pure, unadulterated paradise -- Florida has been an American winter escape since the advent of vacation time. Or something like that. 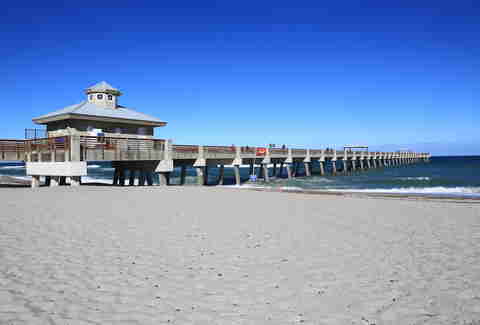 And while the Sunshine State has no shortage of popular beaches full of beautiful people (which we've boldly ranked here), sometimes you want to enjoy the soft sand sans blaring music, fruity drinks, or the sight of anybody wearing a Speedo. Well, guess what? 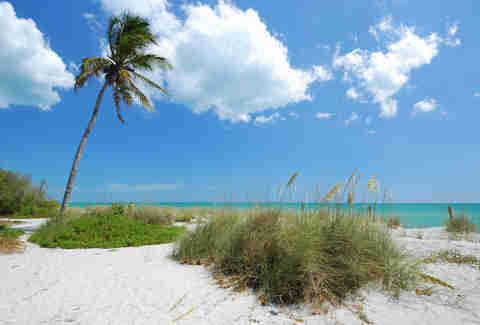 Florida's got plenty of those beaches too, and we ranked the 10 best. The phrase "catching mullets" can mean a couple of different things in Florida. On one hand, it could mean heading to the Figure-8 school bus races (and/or the annual fish toss at the Flora-Bama) and peeping the innovative hairstyles. And on the other, you could actually be talking about casting nets across a couple of marsh islands and catching fish. 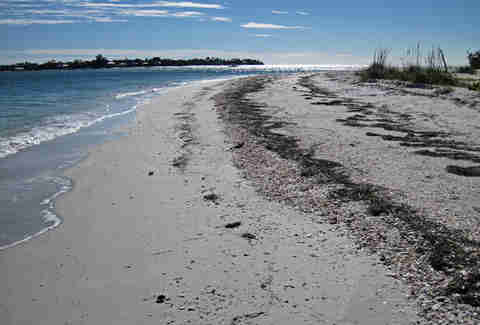 When it comes to Boca Grande, a small section of Gasparilla Island near Port Charlotte, we're referring to the latter. Once one of the state's major seafood hubs, the town's maritime/fishing history has given way to luxury vacation homes and peaceful, empty beaches. You'll have to cross three bridges and pay a $6 toll to get there, but it's well worth it -- the beach stays pretty empty save for the local residents and the dogs they bring with them. Probably the only "beach" you associate with Ponte Vedra is the one next to the water hazard at TPC Sawgrass' legendary island green. But head east a little, and you'll find 40ft dunes bordering some of the prettiest sand in the state. While the beaches in nearby St. Augustine and Jacksonville attract most of Northeast Florida's non-golfing visitors, Ponte Vedra has the same Appalachian quartz and ancient coquina sands. If you forgot elementary-school Spanish, this translates to "Beautiful Beach." Beauty, however, is a relative term. 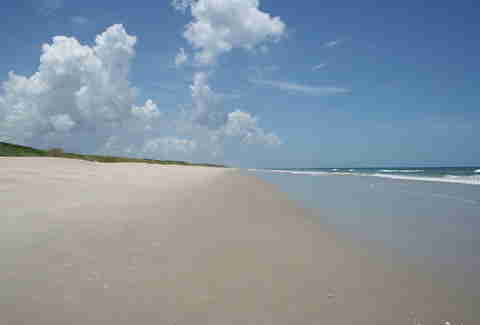 Oh, sure, the beach itself is beautiful, a stretch of the Canaveral National Seashore in Central Florida. But it's also "clothing optional." Which means that on good days, it'll offer a collection of average-looking folks who just don't much like bothering with clothes. And on bad days? Well, we don't need to draw that picture for you. 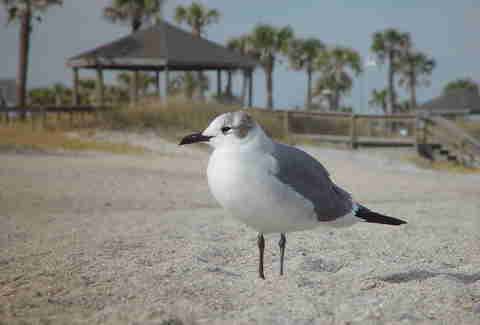 Still, its National Seashore status and location far from big cities leaves this beach nice and quiet. Proving that annoying travel cliche, "it's not about the destination, it's about the journey," the private ferry from Punta Gorda to Cayo Costa is often accompanied by manatees, dolphins, and all sorts of Floridian birds, and it's pretty amazing. Disproving said cliche, the actual island; actually, it may prove it again, since you hike through mangroves and pine hammocks before arriving at nine miles of unspoiled white sand. Either way, both the journey AND the destination are worth the trip to Cayo Costa. And the park even maintains rentable cabins so you can stay the night. This 437-acre park in Northern Palm Beach County sits on land once owned by insurance magnate/developer John D. MacArthur. It's now a coastal preserve dotted with mangrove channels and manatees, and it serves as a natural habitat for Florida's state butterfly, the zebra longwing. It's also home to a marine estuary full of snook, oysters, and fiddler crabs. As for the beach, well, it's a two-mile stretch of sand with so few swimmers there's no need for a lifeguard. Make all the jokes you want about the Redneck Riviera (and there are plenty. PLENTY. ), but if you want to experience the more refined side of the South, visit Amelia Island; it boasts 13 miles of beaches, roads framed by oaks dripping with Spanish moss, and the best collection of Gilded Age mansions in the state. 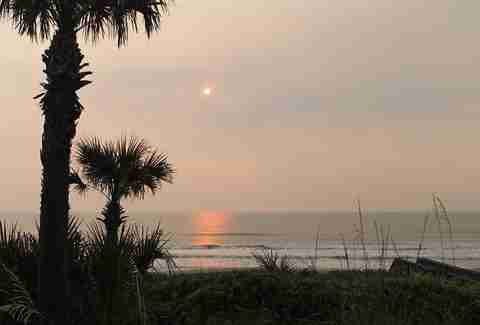 And since "nature" and "history" in Florida so often give way to "condos" and "more condos," the underdeveloped Amelia Island is a rare chance to see what "Old Florida" was like. Palm Beach County is known for a lot of things, many of which involve professional football players and people who can't read ballots. Rarely is it known for surfing. But the waves off this beach in North County are a destination spot for surfers, kitesurfers, and ambitious paddleboarders alike. 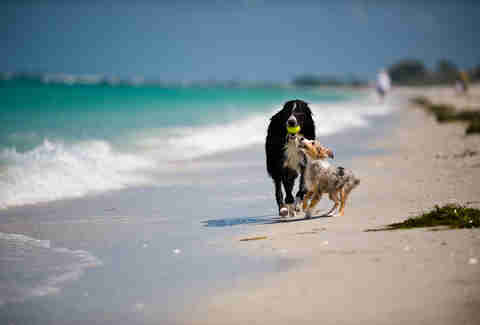 It's also PBC's most dog-friendly stretch of sand and the most densely nested turtle-nesting beach in the world from May-October. After you spend a lovely day on the beach, be sure to take the short ride over to the legendary Square Grouper Tiki Bar in Jupiter. People tend to lump Captiva and nearby Sanibel Island together like they lump together credit card fraud and identity theft. But anybody who's spent enough time in Florida definitely knows the difference between all of those. Captiva sits across a short bridge from Sanibel, boasting all the Gulf Coast, white-sand glory of the larger island, with a distinct small-town feel. The South Seas Resort is the only mega-property there, and even those guests make time to head out to spots like the Mucky Duck and the Bubble Room. The beaches are some of the best for shelling in the world, mostly because there aren't that many people around picking them up. 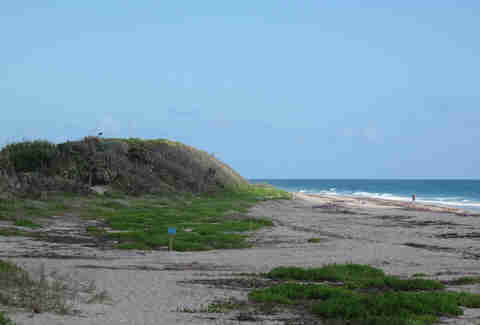 If you've ever wondered what Florida's barrier islands looked like before they were lined with high-rise condos, head to this one-mile nature preserve in Hobe Sound on Jupiter Island. Here, the largest deposit of Anastasia limestone on the Atlantic Coast guards the shoreline, and the waves that crash against it can shoot up to 50ft in the air. It's like a rocky beach on California's Central Coast, but it's warm. 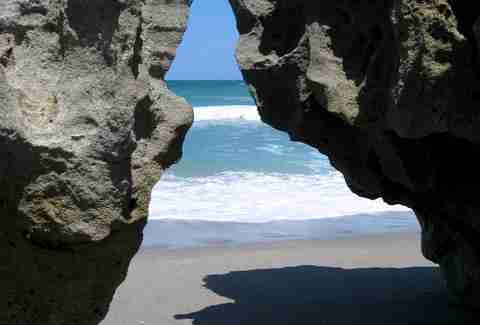 And since the area is a nature preserve, you'll also see loggerhead and leatherback Turtles on your walk to the sand. Though nobody would ever think Florida's state motto is "Quality over quantity," this natural barrier island off Dunedin is all about making a lot out of a little. While it maintains only three miles of coastline, the beaches are highly acclaimed and have often been named some of the best in America. 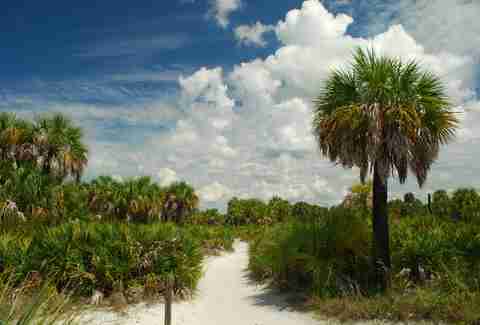 The island also maintains hiking (and kayak) trails that are well worth exploring. Matt Meltzer is a staff writer at Thrillist who lives in Florida and hasn't been to the beach once this year. See if he makes it there on Instagram: @Meltrez1.